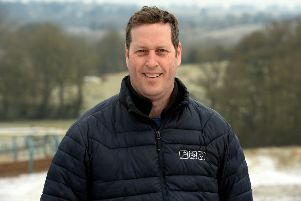 Dougie Gittins saddled his first winner at Sunday’s Savills Heythrop Hunt point-to-point meeting. George Henderson made a fairy tale return to the winner’s enclosure on The Caller for Moreton-in-Marsh trainer Gittins. 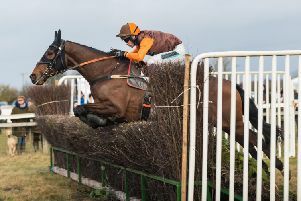 The 26-year-old had ridden 21 point-to-point winners before breaking his pelvis and back in an accident. Henderson struck on his first mount between the flags since May, 2014. Sent off as the 12-1 outsider of four in the Knight Frank Heythrop Hunt Members’, Subscribers’ & Farmers’ Race, The Caller stayed on for a four-length triumph over Gallery Exhibition. Henderson said: “It is brilliant. Dougie [Gittins] called me this morning and said he had done his shoulder and I was the lucky beneficiary. It was my second ride back after five years. Gittins explained that he bought The Caller, who runs in his mother Nicky White’s colours, from Warren Greatrex, for whom he works as media manager. Tim Underwood landed a double with Irish import Timmie Roe and stable stalwart Tempelpirate. Phil York never saw another rival after bouncing out Timmie Roe from flagfall in the Carter Jonas Restricted to saunter home a distance clear of Ka Maresco. Tempelpirate, beaten by a head in the King’s Head Inn, Bledington PPORA Club Members’ Conditions Race for Novice Riders last year, had fortune on his side in a dramatic renewal this time. Tristan Durrell’s mount looked booked for second when Susquehanna River and Harry Arkwright, who had been left clear after Pantxoa unseated at the third-last, ran out at the final fence. Tempelpirate took advantage to claim a 23rd career success with a length verdict over Net Work Rouge. But Underwood’s hopes of a treble were dashed when Streets Of London found Magna Sam three lengths too good in the Red Savannah Four, Five and Six-Year-Olds Open Maiden over 2m 4f. Luca Morgan’s mount stayed on to give Glyn Slade-Jones his first winner of the season.